I’m thrilled to be taking part in this event! It is such a cool idea and goes nicely with the holiday spirit for everyone to receive a gift! I love it! 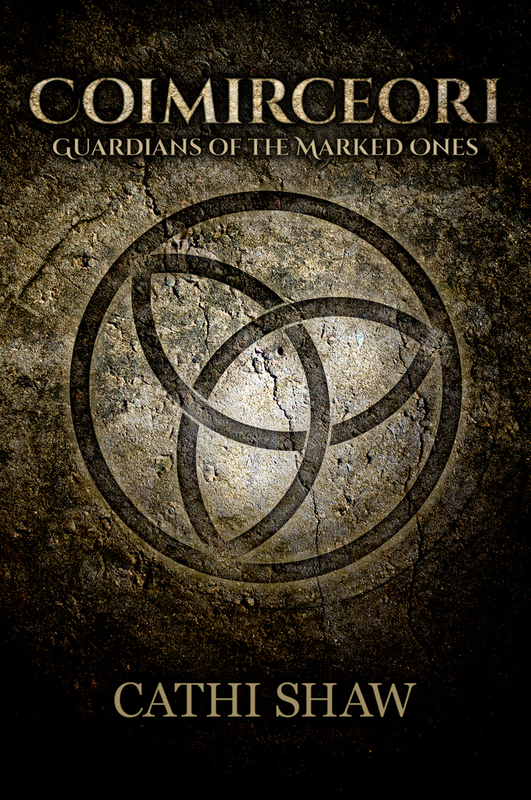 Everyone who reads this post and leaves a comment about either the book they are most looking forward to this holiday season or a favourite holiday album, will receive a e-book copy of first chapter of the prequel to the Marked Ones! Only ONE person has read this before (my daughter Caitie) so I’m thrilled to be able to gift this to you! The Prequel tells the story of Brijit and Weylon and the amazing Chris Arlidge from Cheeky Monkey Media has designed this epic cover for the book. Don’t forget to leave your email address so I can send the chapter to you! 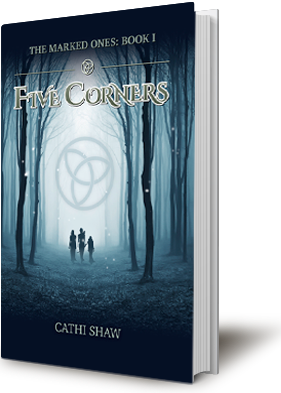 Growing up in a sleepy village untouched by distant wars and political conflicts, it was easy for Thia, Mina and Kiara to forget such horrors existed in the Five Corners. That is until the dead child is found; a child that bears the same strange birthmark that all three sisters possess. A Mark their mother had always told them was unique to the girls. Kiara’s suspicions grow as their Inn is soon overrun with outsiders from all walks of life. Strangers, soldiers and Elders who all seem to know more about what is happening than the girls do. After Mina barely survives an attack in the forest, the sisters are faced with a shattering secret their mother has kept from them for years. As danger closes in around them, the sisters are forced from their home and must put their trust in the hands of strangers. With more questions than answers, Kiara finds herself separated from everyone she loves and reliant on an Outlander who has spent too much time in army. She doesn’t trust Caedmon but she needs him if she has any hope of being reunited with her sisters and learning what the Mark might mean. Some of my favourite things about the holiday season are books and music. I love Christmas tunes, especially new takes on holiday classics. I also absolutely love books! Giving books, receiving books and having leisure time to lounge in front of the tree and fireplace with a warm cup of tea and a new book in my hand or on my iPad. 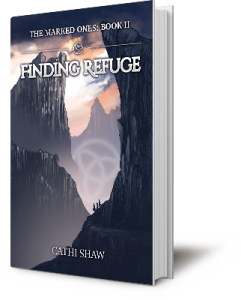 That’s one of the reasons I was so excited that Finding Refuge (Book 2 of the Marked Ones) was released on December 4th! 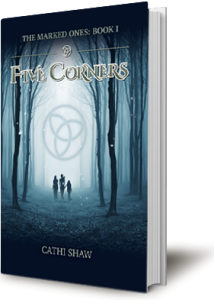 The first book, Five Corners, was released in January of 2014 and so many people told me they wished it had been released before Christmas because they would have loved to have given it as a gift. So I was thrilled when my publisher agreed that a pre-Christmas release would work well for Book 2. The idea of people discovering my books during the holiday period makes me smile. Right now through to December 18th both books are on sale through my publisher, Ink Smith Publishing. You can also get them through Amazon, Chapters Indigo, Barnes & Noble and the Kindle Store. Don’t forget to enter for the chance to win a $100 Amazon gift card! Thanks to everyone for stopping by. I love to hear from my readers, so please leave a comment with your email address and I’ll send you the first chapter of Coimirceoirí: Guardians of the Marked Ones. And be sure to check out all the other great stops on the Blog Hop to claim you free gifts and enter to win some great prizes. Share with all your friends too! Happy Holidays, everyone! I love that album, Melody! So classic! Merry Christmas, Ruth! I hope you get all the books you’re craving! I want to read so many books , it would impossible to name . I bought about 5 today. Merry I want to read so many Christmas book , it would be numerous to name . Merry Christmas and thank you!! Have fun reading your new books, Patty! Merry Christmas to you as well! I am desperately trying to mark all my exams before the Christmas Break because I’ll I want to do during the break is read a good book. Wink! Wink @ author Ms. Shaw!